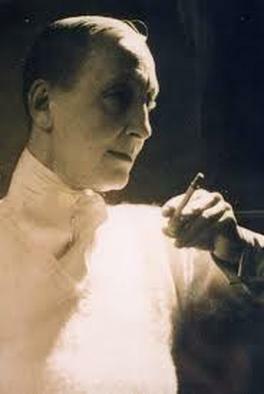 ‘’Moss was one of Britain’s most important Constructivist artists a radical lesbian and Drag King. Moss was no copycat’’. Marlow Moss was more or less considered [viewed] as a minor Mondrian imitator, although that is a really mean thing because she made her paintings the opposite way round to Mondrian, despite the visual similarities – and Mondrian loved her work. 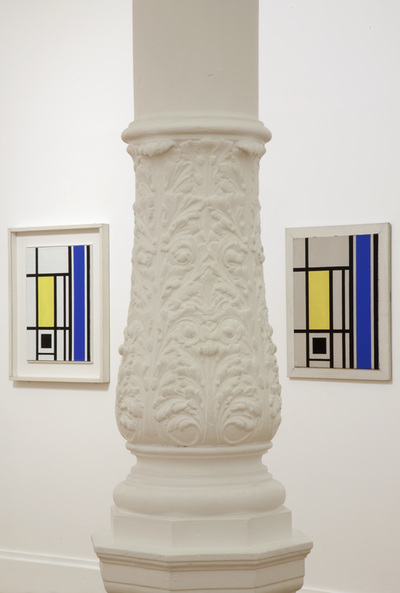 Moss’s take on neo-plasticism is mathematically based, Mondrian’s is instinctual. 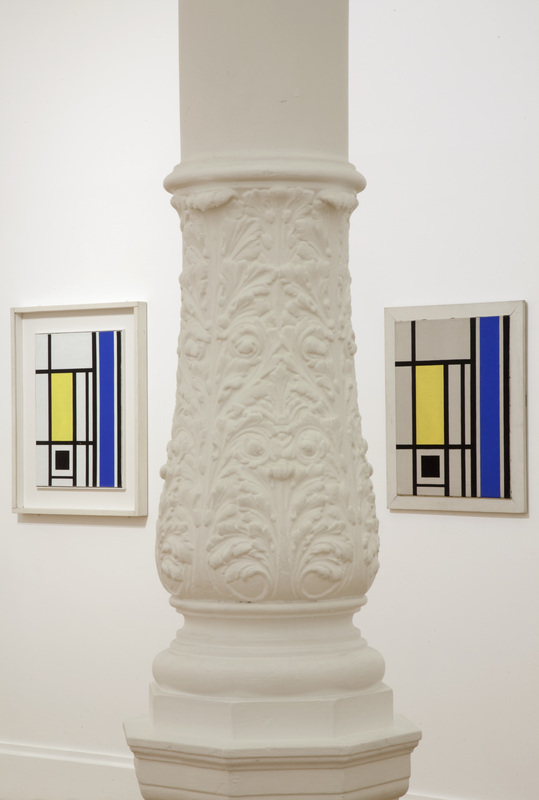 Some people also suggest that Mondrian was influenced by her rather than vice versa. 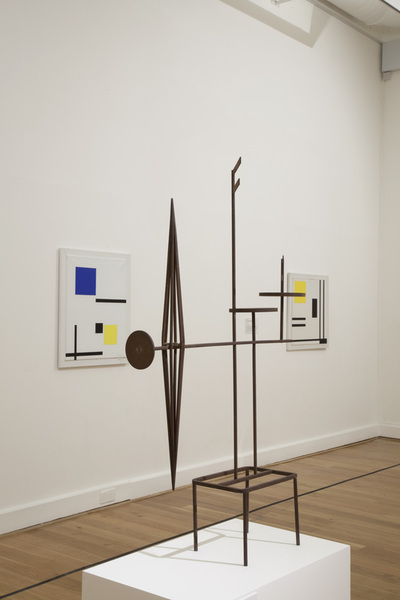 Some artists criticized Mondrian for not giving Moss the credit for the invention of the double-line, and like so many women, Moss has been written out of art history. We saw a show of hers in Leeds, UK, June 2014 recently, and simultaneously we were asked to show some work in a small exhibition next to Leeds City Art Gallery in a space called &Model. 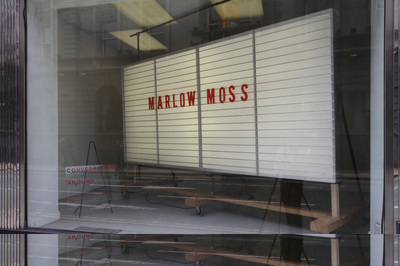 The show at &Model was called ‘Conversations around Marlow Moss’, so we choose to install our ‘Savage School Lightbox’ – [3 metres] in the front window of the space with her name on it. We were very saddened by the letters we read that were displayed in a vitrine in the show at Leeds City Art Gallery - from Marlow Moss to Ben Nicholson, who completely ignored them and refused her attempts to form dialogues with him or even have tea together. This was despite living 15 miles apart from each other in Cornwall. 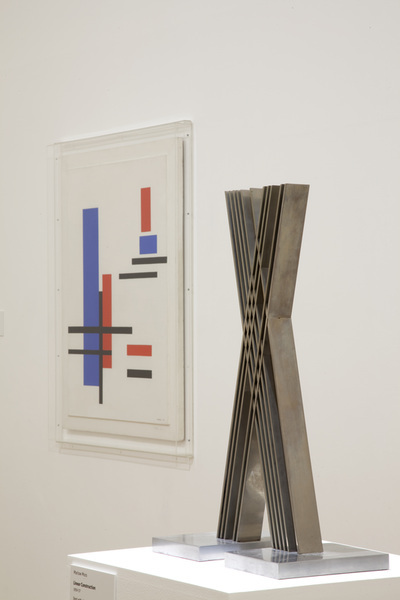 Marlow Moss was also writing to Paul Vezelay at the time saying how ‘miserable’ the English Constructivists were and “we would conclude that no other Abstract Artist existed in the whole of Great Britain. ….. It’s pitiful.… “– she was clearly embarrassed by it all. Despite her recent solo shows in UK – Moss has received no reviews on her work, whilst in Holland, where she has work in many collections, she has been the subject of a novel, a ballet and an opera about her life. One of the reasons she stands out now is that unlike most of the artists working in Britain at the time, Moss had an untypical passion for European Modernism.